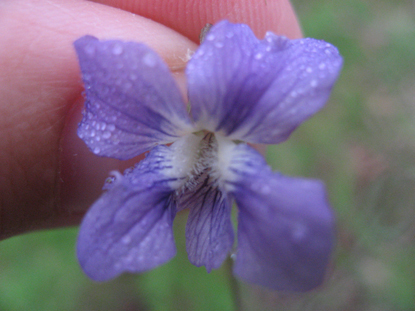 …are fairy tears indeed. And fairies do cry, often. 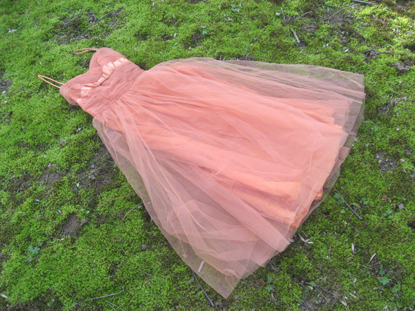 Yesterday I found my vintage peachy dress for next weekend’s sweet gathering at the maypole! Layed it down in the lush bed of moss that grows outside my door. Last year (and every year for that matter) I had such a fun time! May Day is upon us! I would like to thank the enchanted Ulla for getting me all inspired by all her sweet fairy tale posts as of late! 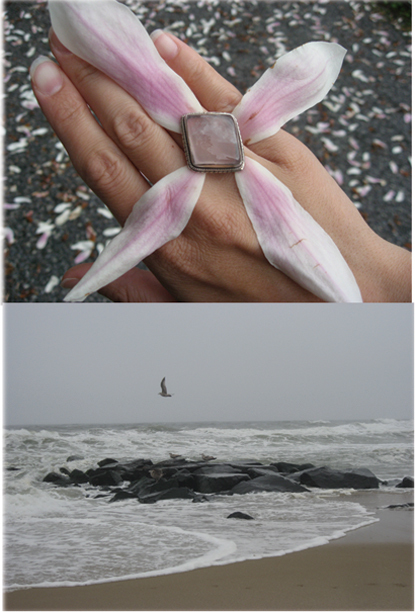 Ulla, your blog never fails to inspired and enrich me! I can’t believe how time flew by! A little break turns into a month of nonposting. 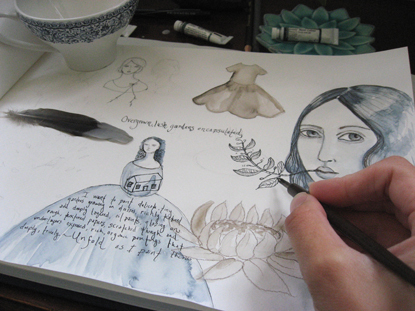 For me this spring is a time of new directions, capturing ideas…. What a beautiful Earth Day! Today I walked for miles to sit by the pond and gaze into the water and just be. 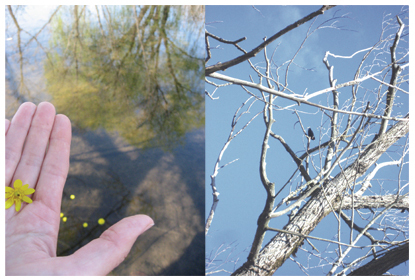 The water’s surface was like a giantic looking glass for the sky, the tree branches and red-winged blackbirds. Their song is my favorite. Look below and you might see one on the tree’s branches. 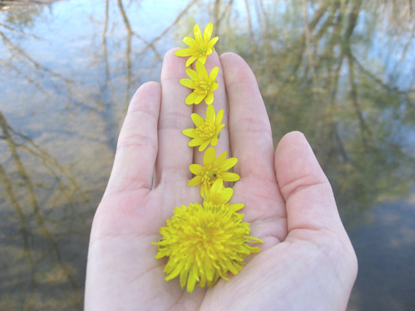 Sitting on the roots of a willow tree I picked dandelions and little yellow flowers and played with configurations on my hands like henna designs that came alive. 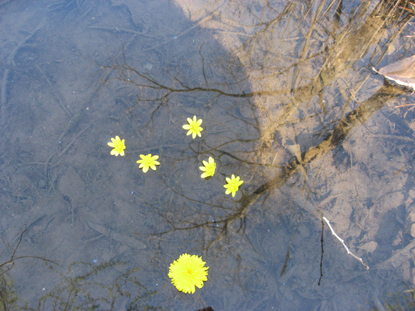 As the tiny buds floated across the water I thought of things that hold me back, keep me from being creative, keep me from painting. From there I ran the whole way home. 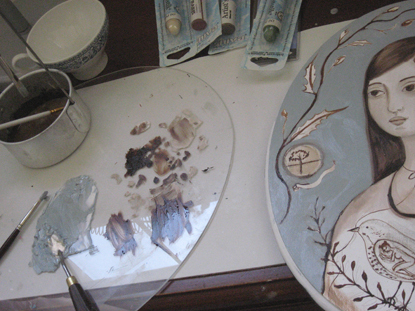 And I painted the afternoon in my sketchbook with watercolors and in oils on a wooden panel. It’s a start. 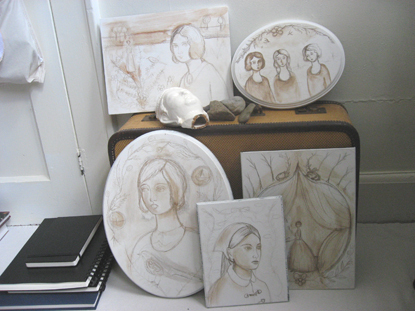 These have been sitting in my studio for some time, new directions I set up in an inspiring little shrine-like fashion. . I am so excited about all of these. 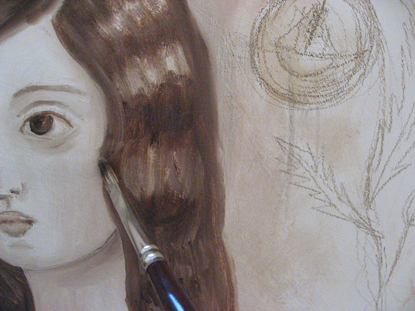 Painting the grisaille layer in burnt umber and titanium white this afternoon. The first full day of being 29 was beautiful! …and ships on cigar boxes and the sea. Everything is so incredibly lush! 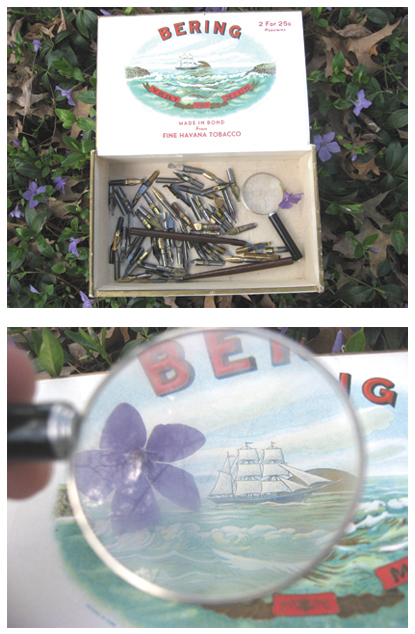 Little purple flowers were the perfect backdrop to my old cigar box stashed with pen nibs from decades ago. 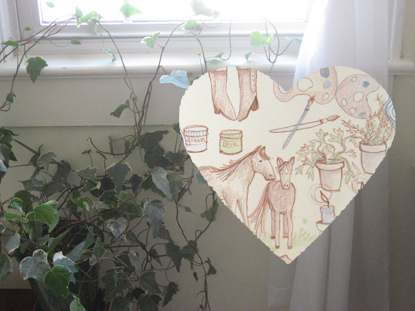 I have been writing and sketching lots in my journal. The feel of the nib running over the smooth surface of the watercolor paper is sooo addicting! Just a few more days til I have some time off, my birthday and a much needed visit to the seashore and more walks in the woods…perfect timing as spring is in full bloom.